Originally Speaking is a written debate series that approaches a contemporary topic from diverse perspectives. The Federalist Society takes no position and encourages a clear and constructive exchange on the subject. Posts in an OS series chain off of each other in waves, creating a loose stream of dialogue. The focus of this series is if climate change is eligible for common law public nuisance claims, as articulated in the lawsuits by CA and NY municipalities against several major oil and gas companies. We hope you enjoy this Originally Speaking series. Closing Response, Part 3 - John S. Baker, Jr. In Parts 1 and 2, I have assumed, arguendo, that Mr. Bookbinder’s assertion that anthropomorphic climate change is incontrovertible is correct. It is not! This post now addresses the unproven nature of his underlying premise regarding anthropomorphic climate change. By providing a public arena in the courts for the testing of scientific hypotheses about the causes of climate change, litigation would also promote the public understanding and even the advancement of climate science. There are several problems with a trial, however. As I said in the last post, plaintiffs in these climate-change suits don’t want a real trial. They either want a negotiated settlement or something that really isn’t a trial. As Ed Whelan highlighted in his article about the Supreme Court’s denial of the federal government’s motion for a stay, what they are asking for in Juliana v. United States isn’t really a trial at all. The Government notes [not “argues”] that the suit is based on an assortment of unprecedented legal theories, such as a substantive due process right to certain climate conditions, and an equal protection right to live in the same climate as enjoyed by prior generations. The Government further points out that plaintiffs ask the District Court to create a “national remedial plan” to stabilize the climate and “restore the Earth’s energy balance.” (emphasis added). Although the plaintiffs do not actually want to go to trial, they are seeking damages. The defendants also do not want to go to trial. In the City of Oakland case, the companies have won on the law at the district court level, but that could be reversed on appeal. If the companies do not ultimately win on the law, they will settle in order to minimize damages. The only real way to have a trial of climate-change science in the public arena is to decouple the damages claim and “try” the main issue: the causes of climate change. To do that, two ways come to mind. In a state court having televised trials, a scientist who is a “climate-change denier” could sue for only nominal damages and an apology/retraction from those scientists who have publicly defamed his/her competence. Whereas the defendant might pay the nominal damages in order to end the litigation without the plaintiff’s agreement, he or she would be unlikely to confess error by making an apology/retraction. That could set up a real trial, pitting scientists with opposing views of climate change. Alternatively or—ideally—additionally, a television program modeled on “The Advocates,” a PBS program which ran for a few years beginning in 1969, could be produced. Unlike so much of current cable opinion programming, the mock-trial format of “The Advocates” was actually informative because two lawyers presented opposing, expert witnesses subject to direct and cross examination, followed by closing arguments. As a non-scientist, I have insufficient knowledge to offer a well-informed opinion about anthropomorphic climate change. I do “know,” however, that a number—although small—of well-credentialed scientists dispute the scientific claims of climate-change alarmists. I also know that, historically, established opinions in areas of scientific inquiry have often been wrong. Of course, the climate-change alarmists will say that the general public cannot possibly make an accurate judgment about the science involved. If so, then why would anyone think that a jury in California or New York would be able to make good judgments about the lawsuits that Mr. Bookbinder is pursuing? It’s all about the money for local governments and federal regulation of virtually everything and everybody. The plaintiffs hope that the oil companies will settle—as corporate defendants generally do—rather than risk a jury verdict that includes tremendous damages. The stakes are too high to have these issues decided by whatever the oil companies choose to do in order to minimize the damages they might have to pay. We all have an interest in rejecting the use of courts to revolutionize our Common Law heritage. Closing Response, Part 2 - John S. Baker, Jr.
After arguing that oil companies knew about climate change no later than the 1960’s, an assertion I refuted in Part 1, Mr. Bookbinder calls for California state judges to develop the state’s common law of public nuisance to cover climate change and, therefore, allow California juries and judges to determine damages against the defendant oil companies. 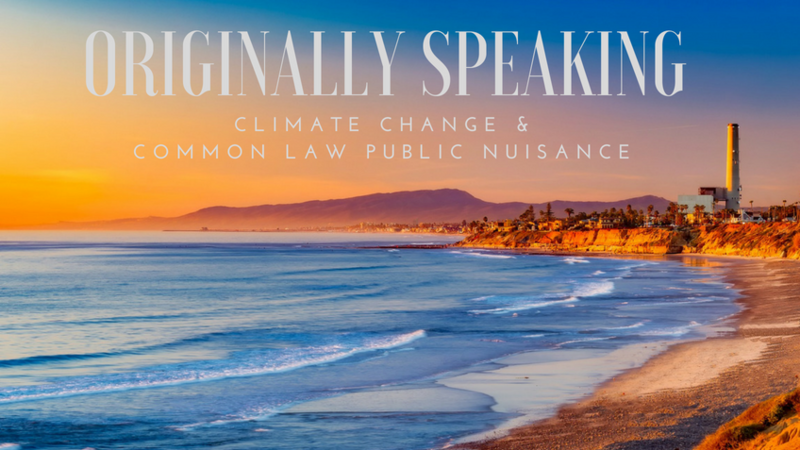 In order to develop California’s common law of public nuisance to cover climate change, there are some legal questions that would need to be addressed. Plaintiffs’ claims for public nuisance, though pled as state-law claims, depend on a global complex of geophysical cause and effect involving all nations of the planet (and the oceans and atmosphere). It necessarily involves the relationships between the United States and all other nations. It demands to be governed by as universal a rule of apportioning responsibility as is available. Hayek’s “spontaneous order” does not refer to top-down organization of society from government officials, including judges. Instead, it emphasizes tradition and opposes the rationalistic re-organization of the socioeconomic order, which is precisely what Mr. Bookbinder is pursuing. Law schools long ago stripped away the notion that the Common Law is based on certain enduring principles instantiated through customs and tradition. Under the influence of Holmes, legal-realist, law professors reduced the Common Law simply to “judge-made law.” They abandoned the notion that what common law judges actually did was to make or adapt a rule (not the law itself) founded on underlying, permanent principles of law. In the climate-change cases, plaintiffs have taken “judge-made law” to its logical extreme. The scope of plaintiffs’ theory is breathtaking (emphasis added). It would reach the sale of fossil fuels anywhere in the world, including all past and otherwise lawful sales, where the seller knew that the combustion of fossil fuels contributed to the phenomenon of global warming. While these actions are brought against the first, second, fourth, sixth and ninth largest producers of fossil fuels, anyone who supplied fossil fuels with knowledge of the problem would be liable. At one point, counsel seemed to limit liability to those who had promoted allegedly phony science to deny climate change. But at oral argument, plaintiffs’ counsel clarified that any such promotion remained merely a “plus factor.” Their theory rests on the sweeping proposition that otherwise lawful and everyday sales of fossil fuels, combined with an awareness that greenhouse gas emissions lead to increased global temperatures, constitute a public nuisance. Finally, it must be asked whether California judges and juries should be permitted to determine damages regarding a national and international injury. Just as state common law of California should not control, neither should a single state court judge or jury award damages in climate-change cases. 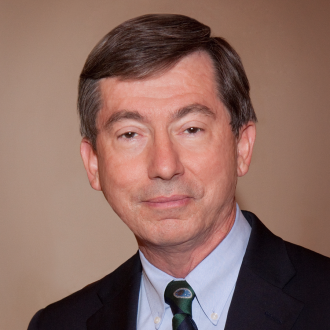 In an amicus brief for Sherwin Williams Co. v. California, which I joined, addressing a California court’s application of the state’s public nuisance doctrine to lead-paint manufacturers, Professor Richard Epstein noted that the collective nature of public nuisance cases made them akin to a criminal action, and in fact, they are often accompanied by a criminal action. In other words, the very community from which the jury in a public nuisance case is drawn is the same as the collective group represented in the plaintiffs’ lawsuit. That is acceptable in a criminal action because the harm is against the community, not actually the individual victim. The individual’s remedy is a tort action against the perpetrator of the crime. Allowing a local jury or a state judge to determine damages in a climate-change, public nuisance case that affects the whole country is fundamentally unjust. Mr. Bookbinder’s contrary claim that it is just to impose the costs on the oil companies is transparently false. 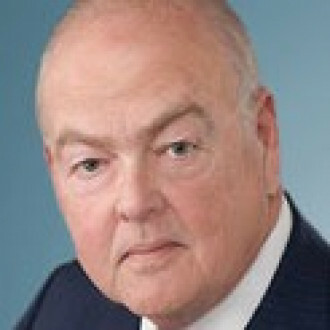 He contends, inter alia, that the oil companies will simply pass along the higher gas prices to all consumers. While Mr. Bookbinder wants to spread the increased gasoline prices across the country, he is not proposing to share the damages awarded in California with other states that have also suffered climate-change damages. Mr. Bookbinder proposes a modern adaptation of the kind of state-court self-dealing that concerned the Constitutional Convention and prompted the creation of federal courts. According to Bookbinder, damages spare the taxpayers from covering the damages. But the judge or jury of any one state, and California in particular, would have great self interest in awarding its own local governments as much as possible, and, thereby, reducing their own taxes, without regard to any other state. Actually, the plaintiffs in these cases do not expect—and do not want—to go to trial. Unlike the tobacco cases, these plaintiffs have to prove the defendants’ knowledge and furthermore, are fighting an industry that has been essential to economic growth and development. As in the tobacco cases, however, the plaintiffs expect that the defendants—public corporations—will settle based on the pressures of negative publicity, activist shareholders, and ultimately the risks of incurring unacceptable, monetary damage-awards. The first two posts in this series refute Bookbinder’s faulty arguments regarding the knowledge of oil companies and the authority of the California judiciary to expand the common law of public nuisance to cover climate change and, thereby, create a new source of revenue for California. The third and final post in this series challenges the validity of the unproven premise on which these two arguments were based: that the scientific proof of anthropomorphic climate change is incontrovertible. Closing Response, Part 1 - John S. Baker, Jr. Advocates that California state judges expand the common law of nuisance to cover climate change, thereby allowing trial judges and juries to hold the oil companies responsible for the damages caused to California. This three-part response to Mr. Bookbinder’s argument first assumes, arguendo, the validity of the unproven premise of his first point in order to address his second and third points, which necessarily rest on that premise. After addressing these points, the third post for this response questions the validity of the unproven premise. Mr. Bookbinder’s second assertion is that oil companies have known about the incontrovertible scientific proof regarding climate change for a long time. In this first post, as part of my response, I will address this assertion. Internal documents that have recently come to light establish that oil companies knew as early as 1956, and no later than 1968, what climate harms their gasoline would inflict on the planet—and either said nothing or, even worse, affirmatively denied (until very recently) that global warming was occurring or was caused by burning their products. Prior to 1990, some scientists may have suspected or believed that the human element in climate change was significant, however, “knowledge” could not have been established until adequate, authoritative, scientific proof was produced. The earliest that climate alarmists can arguably claim the existence of such “knowledge” is the1990 IPCC Report. Having cast doubt on the assertion that oil companies have possessed incontrovertible evidence about climate change for a long time, the argument continues in the forthcoming second posting. 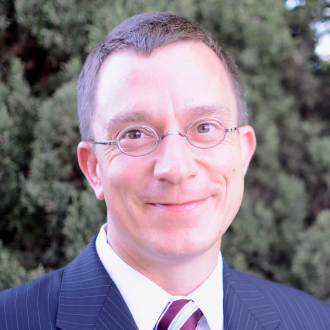 Chief Counsel, Niskanen Center & Represents the Plaintiffs (Pro Bono) in the Climate Nuisance Case Boulder County et al. v. Suncor, et al. The conduct at issue in the climate nuisance cases is that fossil fuel companies manufactured and sold their products knowing that when used as intended, they would disrupt the Earth’s climate system and then require wide-scale adaptation to the changed climate. Despite this knowledge, those companies (at best) said nothing about it, and (at worst) engaged in a campaign to affirmatively mislead the public (including their own customers). And, decades later, when they finally acknowledge that their products are the dominant cause of global warming, their business plan is to increase production and sales, thereby making this problem even worse. Given this history, the question in these cases is whether current and future adaptation costs should be borne entirely by the taxpayers. What I view as attempts to have fossil fuel providers pay for some of the damages that they knew would be caused by their products is seen by Dan Lungren, Donald Kochen, and Rick Faulk as nothing less than an existential threat to America’s political structure: these cases are “a continuation of an ever-increasing distortion of our Constitutional system” (Lungren); they “disrupt longstanding legal principles that limit the controversies that belong in court and that leave the rest of the social decisionmaking for the legislature” (Kochen); and “public nuisance litigants engage in de facto ‘lawmaking’ wholly outside the legislative process – and substitute judgments based on jury verdicts instead of relying on representative democracy” (Faulk). Hardly. In fact, these cases are actually a principled conservative response to climate-related damages that embraces “free market environmentalism” and protects the taxpayer. For these and other reasons, conservative and libertarian intellectuals who embrace what they call “free market environmentalism” have argued that pollution is best thought of as a trespass on private property that should be remedied whenever possible by common law action—not by legislators acting to referee such trespasses via sweeping environmental laws with (heavily politicized) utilitarian calculations in mind. Thus, in a perfect world, “Tort litigation on the basis of strict liability would therefore take the place of taxes and emissions trading,” argue the libertarian fundamentalists at the Mises Institute. “By providing a public arena in the courts for the testing of scientific hypotheses about the causes of climate change, litigation would also promote the public understanding and even the advancement of climate science.” Quite so. Nevertheless, many people oppose these lawsuits. Why? The oft-heard claim – echoed here by Dan Lungren’s statement that, “If all companies are to be on the hook for climate change because of petroleum production, then so is the corner gas station for distributing it and the drivers who actually use it” -- is that individual greenhouse gas emitters—and not fossil fuel companies—are the more appropriate targets for these lawsuits. That makes no sense. The American legal system has long recognized that people who make and sell products knowing that they will cause harm should be held responsible for those injuries, especially if the products (as in this case) are used exactly as intended. Internal documents that have recently come to light establish that oil companies knew as early as 1956, and no later than 1968, what climate harms their gasoline would inflict on the planet—and either said nothing or, even worse, affirmatively denied (until very recently) that global warming was occurring or was caused by burning their products. Another objection is that comprehensive legislative action is far better than scattershot legal remedies. But this argument fundamentally misunderstands what these cases are, and what they are not. They are not comprehensive attempts to address the long-term problem of climate change. They are simply attempts by local governments to have the people responsible for creating the problem help pay to fix it, rather than foisting these increasing costs on to their taxpayers. Revenues from carbon taxes and emission trading systems could, of course, accomplish that end, but no existing or proposed tax or cap & trade scheme uses revenues that way. In short, the nuisance cases are a complement to, not a substitute for, legislation or regulation. No better is the argument that it is unfair or unconstitutional to hold companies retroactively liable for practices that were perfectly legal at the time, e.g., Donald Kochum’s description of these cases as attempts “to retroactively pin the costs of climate change on those companies’ past lawful behavior.” To reject tort action as “retroactive liability” is to reject tort law itself, since all tort liability findings are, by definition, retroactive. Dan Lungren writes that “it is a source of pride that we were able to hold the tobacco companies responsible for their actions”, as if he were unaware that the manufacture and sale of cigarettes was then – and remains now – undisputedly legal. Who, then, should pay for the adaptation costs that are being imposed by climate change? To say “not the fossil fuel companies who knew that their products were going to make this happen and either said nothing or actively misled the public” is to simply say “you, the taxpayer”. Welcome to Originally Speaking. Today we turn our attention to what some California municipal leaders say is their attempt to hold oil companies responsible for the impacts of climate change. A group of California municipalities are jointly suing the biggest oil companies for allegedly hiding secret data about the impact of greenhouse gases and intentionally causing global warming. Together with [other debaters], we will discuss the merits of this strategy and its potential impact both on municipalities and the fight against climate change. My position is clear: These lawsuits have a dubious factual basis, pursue a counterproductive strategy and rely on a serious distortion of our constitutional framework of governance. I participated firsthand in executing the “Big Tobacco” playbook. As Attorney General of California, I led our state in the nationwide lawsuits against the major tobacco companies. It is a source of pride that we were able to hold the tobacco companies responsible for their actions. However, I have no doubt that in the case of the oil and gas industry, this playbook is being misapplied. Man-made contributions to climate change bear no resemblance to the problems caused by the tobacco industry. Even at the height of smoking, the majority of Americans were nonsmokers. Compare that with the number of Americans who drive a car or otherwise participate in creating emissions. No one has to smoke but the vast majority of us have to drive or ride in a car to carry out our normal everyday activities. Smoking has real world, demonstrable negative health effects that were readily apparent to even a casual observer. As well, there was a documented history of tobacco companies trying to hide those negative effects and, some would say, quietly altering the product to increase its addictive properties. In contrast, the extent of anthropogenic climate change and its potential impacts are very much open questions. That last sentence is probably where I lost a lot of you, so let us look at what the municipalities themselves have to say. They begin to make the case for me. In their lawsuit, the City of Oakland warns that climate change will result in 66 inches of sea-level rise by the end of this century, resulting in $38 billion in property damage. Yet, to prospective municipal bond holders, the city admits that they are unable to predict when sea rise or other climate change related events will occur, or if it will even negatively affect Oakland’s economy. Similarly, San Mateo County makes incredibly specific predictions and timetables for biblical flooding but tells bond holders it seeks to attract that the county is “unable to predict whether sea-level rise or other aspects of climate change or flooding from a major storm will occur”. You cannot have it both ways. Either the bond holders are being misled or specious lawsuits are being filed in hopes of a big payday. The hint of hypocrisy grows stronger when one considers another plaintiff, the City of Richmond. This municipality, now and for some considerable time, receives approximately 25% to 33 1/3% of its total general fund budget via direct tax payments from one of the defendant oil companies’ production facilities operating within its own borders. The city has been content to host a massive refinery, accept its jobs for city and regional residents and benefit from the company’s production related profits without complaint as to the nature of the business. So where does the ultimate responsibility lie? If ail companies are to be on the hook for climate change because of petroleum production, then so is the corner gas station for distributing it and the drivers who actually use it. What about the State of California which has for decades received billions of dollars for the sale of rights to extract oil and gas from its public lands? It is an inconvenient truth that every school district located within the suing jurisdictions has, in the past, received large allotments of funds through the state government from these same supposed “ill-gotten gains”. And what about the U.S. government, which has pursued the same revenue producing activities? If oil companies are responsible for climate change, then we are all responsible. Finally, an essential but mostly over-looked question must be addressed: Are the courts the proper locus for considering and deciding the enormous issue of climate change and our society’s response to it? I would argue that this and similar lawsuits are a continuation of an ever-increasing distortion of our Constitutional system. Our founding fathers never intended the elevation of our judicial system to a place of philosopher-kings or even scientist-kings. In Alexander Hamilton’s Federalist Paper Number 78, he warns us that “liberty can have nothing to fear from the judiciary alone, but would have everything to fear from its union” with the other departments [branches]”. In a similar fashion, the rootless expansion of the public nuisance doctrine threatens to further emasculate the legislative branches of our state and federal governments. One need only analogize the expansion of this doctrine to the jurisprudence which demands that the “living constitution” remove more and more of consequential debate and issues from that which is the most democratic of the three branches of government. The ramifications of climate change in general and man-made contributions to climate change are tremendously important. Although containing great questions of science, the practical applications of public policy to respond to the best answers of science fall within the ambit of political matters to be decided by the people. Comprehensive legislation is needed, not just the targeting of a single industry. Full-throated, robust and open debate is a condition precedent to effective political/governmental solutions. Short-circuiting this essential process by usurping it through seriatim lawsuits is short sighted. The courts, as important as they are in our governing structure, are not equipped to handle this task. California’s civic leaders must ask themselves, do they want to solve the conundrum of climate change or do they just want more money from the oil companies? The zeal with which some seek to remedy the perceived ills of climate change is leading them down a perilous path perverting the Rule of Law. Former Congressman Dan Lungren’s opening essay in this Originally Speaking series highlights that we have been down this road before—where complex questions of public policy are hijacked by litigators eager to exploit our purposefully liberal and open court system for private gain, rather than allowing the policy debate to percolate in the public square where it belongs. In a regulation-by-litigation mindset, and fueled by the strategies devised by eager attorneys, several California municipalities started suing Exxon and other energy companies last year to retroactively pin the costs of climate change on those companies’ past lawful behavior. They are following the model that Congressman Lungren calls the “‘Big Tobacco’ playbook.” These municipalities, and several others considering following this dangerous path, should reconsider their strategy in light of the threat their actions pose to the legal system. Municipalities bought the bill of goods that the plaintiffs’ attorneys were selling when those attorneys proposed their usual novel theories. The litigation strategies are not motivated by a design to make the law better, but instead to make certain attorneys’ wallets bigger. The promise of “profit-sharing” of the bounties received gives these attorneys an effective lure to entice municipalities to sign on to the creative litigation scheme. Seeking billions in compensation, the complaints vary by municipality. But most focus on assertions of liability for climate change impacts and response costs based on common law claims of public nuisance or trespass. To do so, though, such common law claims would need to be twisted upon themselves to reject traditional limits on liability. For example, the lawsuits are based on attenuated theories of causation and traceability. They seek to hold a few companies liable for legal activities that purportedly contributed in some unidentifiable degree to the global climate change phenomenon, to which an endless number of people have seemingly likewise contributed also through no fault or foresight of their own. Such widely dispersed harms, with countless contributors, and with little ability to allocate responsibility or contribution amounts between them, are not the types of concerns fit to be resolved in judicial proceedings. It is the province of the legislature to set prospective rules to address larger matters of social order. Courts are not fit to do so. First, the law is not intended to allow a plaintiff to identify a harm (here, climate change) and then immediately have an entitlement to a remedy no matter what and from no matter whom. The law does not allow one to go hunting for defendants, trying to convince the courts to make them to pay for the harm even if the harm can be proven to exist. Second, there must be some duty established to which the defendant must have been adhering and some proof that those actors deviated from that duty. Certainly hard to do when the defendants you choose were simply engaging in lawful activity, the likes of which the plaintiff simply wishes had been prohibited. Because the energy companies were conducting their lawful businesses, even if it could now be proven that we should change what they are allowed to do as a matter of policy, it is a perversion of the Rule of Law to say that they should be civilly liable for violating a duty that had not existed at the time they acted. Third, even if you can find a defendant who might have done acts capable of causing harm, a plaintiff traditionally must prove specifically that the defendant they are suing actually caused identifiable and allocable harm. That burden includes tracing the cause of the harm back to the particular acts of a defendant. You cannot simply target the deepest pockets in an ocean of possible contributors and make them pay. The municipalities’ climate change lawsuits necessarily demand that we cast aside all of these traditional limits of the judicial process. When bad things happen in the world, people search for someone to blame and expect someone to pay. Too often aggrieved individuals believe that the courts should respond. That is what is at the heart of this “remedy-seeking” litigation. We can and should debate how to address climate change. We can and should identify behaviors and practices that might change or new measures that might be implemented to achieve shared policy goals. Yet these are matters for what Congressman Lungren aptly describes as “full-throated, robust, and open debate” on policy. Courts are not designed for that activity. And, when we try to shove political debates into the courts, we necessarily erode the useful boundaries of judicial relief that serve the Rule of Law. To be successful in their lawsuits, the municipalities’ must disrupt longstanding legal principles that limit the controversies that belong in court and that leave the rest of the social decisionmaking for the legislature. Let’s not let the fear of a climate in peril put our Rule of Law in peril. I’d like to offer a different perspective on the role of the courts in adjudicating responsibility for the escalating environmental damage and economic costs attributable to climate change driven by the production and combustion of fossil fuels. Full disclosure, I have been informally advising the litigation team in the San Mateo cases pending before the Superior Court in California. The views expressed here are my own and do not represent either the parties or their counsel. I’ll make five quick points in response to Dan Lungren’s initial observations. First, the scientific evidence underlying the public nuisance claims in these cases is rock solid. The claims are based on the well documented and highly visible impacts of sea level rise, coastal erosion and increased flooding in California and elsewhere. The process is really quite simple. Greenhouse gases, chiefly carbon dioxide, trap heat in the lower atmosphere. The oceans have absorbed ninety percent of this human caused warming. As the oceans warm the volume of the ocean increases and sea levels rise albeit not uniformly across the globe. Rising temperatures also cause glaciers and ice sheets to melt thereby increasing the amount of water in the oceans. In short the relationship between GHG emissions, global warming, and sea level rise is firmly grounded in the best available science and plaintiffs should have no problem proving this element of their case. Second, California will be especially hard hit by the accelerating melting of Greenland and Antarctica, and coastal communities will be facing enormous costs to either protect or in some cases forced to relocate vulnerable properties and populations. For every foot of global sea-level rise caused by the loss of ice on West Antarctica, sea-level will rise approximately 1.25 feet along the California coast. That may turn out to be a best case scenario. Any way you cut it these communities are collectively facing billions of dollars of investments in both structural and non-structural adaptation measures. Taxpayers will undoubtedly be called upon to shoulder much of these costs but is it fair to saddle them with the entire bill? California has done more than any other state, and certainly more than the federal government, to enact laws and fund programs to reduce emissions and promote cleaner sources of electricity and vehicles. Third, under California law, which I submit is controlling albeit contested, a public nuisance cause of action is established by proof that a defendant knowingly created or assisted in the creation of a substantial and unreasonable interference with a public right. This principle was forcefully upheld in the landmark judgment recently affirmed by the California Supreme Court against major manufacturers of lead paint, holding them responsible for the costs of abatement. The trial court found the companies liable for creating a public nuisance by affirmatively promoting the use of lead paint in residential homes while having “actual knowledge” at the time that it could pose a danger to the public, children in particular. The appeals court held that “the evidence, while circumstantial, was sufficient to support reasonable inferences that defendants must have known in the early 20th century that interior residential lead paint posed a serious risk of harm….” Importantly for purposes of this dialogue the appellate court rejected defendants’ argument that the decision violates constitutional separation of powers, i.e., that the legislature and not the courts should be creating public policy on lead paint and remediation. Fourth, plaintiffs in the climate change cases have alleged a massive campaign by defendants and their allies in the trade associations to deceive their customers, shareholders, regulators, elected officials and the public about the dangers of carbon pollution which their own scientists had documented since at least 1968. Investigators from various quarters have unearthed a trove of internal industry documents and “smoking guns” (ala’ the tobacco cases) showing that the companies not only knew of the dangers posed by continued production of fossils fuels but took affirmative steps to protect their own assets from effects such as sea level rise while at the same time factoring into their business plans the opportunities to increase production in areas such as the Arctic which were becoming more accessible as the sea ice melted. 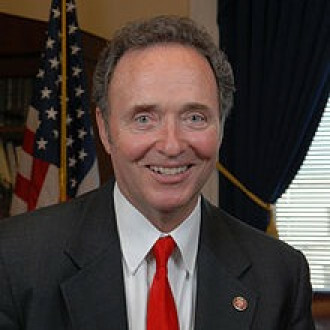 History shows just how effective these efforts were in sowing doubts about the reality of human caused climate change resulting in, among other things, the defeat of legislation such as the Waxman-Markey bill that would have created an economy-wide emissions trading program to avoid or mitigate the damage. As a result of defendants conduct opportunities to reduce the loading of the atmosphere with CO2 and ameliorate the damage that communities in California and many other places are now facing have been lost, perhaps forever. Fifth, there is no merit to the allegation that the California municipal officials have been duplicitous in their representations to their bondholders about the linkages between climate change and sea level rise. In a detailed report commissioned by the Counties of San Mateo, Santa Cruz, and Marin and prepared by Martha Haines, the former head of the SEC’s Office of Municipal Securities the author concludes: “There is no inconsistency or conflict between the allegations in the complaints filed by the Municipal Governments in connection with their respective civil tort claims regarding sea level rise and the disclosures made by such governments in their respective disclosure documents.” Her rationale was that the maturity of the securities in question was so short that it was not reasonable to foresee any impact on their timely repayment from long term sea level rise. She also pointed out that (a) some of the assets were on high ground and would not be affected by sea level rise; (b) many of the bond documents predated information about sea level rise risks to the community; and (c) certain of the more recent bond documents did disclose in far more detail the risks of climate change. In closing, the courts are not going to solve climate change. It is indeed a global problem requiring the cooperation of all the nations of the world. Sadly, and foolishly, the United States under the Trump administration has walked away from the Paris Agreement and stands alone among the community of nations. The administration is also working overtime to undo the work of the previous administration. And the Congress is in gridlock. None of this matters to the climate. It will continue changing in response to anthropogenic sources of carbon pollution and the damages will continue to mount. And while it may be true that we are all responsible as consumers of fossil fuels it is also true that the law demands more of those who have profited enormously from the continued promotion of products they knew were dangerous and who not only failed to disclose the risks or take actions to shift to cleaner sources of energy but who worked diligently and in concert to block the kinds of laws and policies that would have made a real difference in slowing the onslaught of climate related damages. Fairness dictates that they be held accountable for the foreseeable consequences of their actions. Indeed that is exactly what the courts are for. Despite decades of attempts to reform the abuse of mass tort litigation, the problem persists. Whatever procedural or substantive guise these actions adopt, their broad attempts to resolve mass claims short of properly certified class actions entail fatal flaws that ultimately sacrifice defendants’ due process rights. claims asserted by states, cities and other political entities allegedly on behalf of their citizens’ interests. In each of these scenarios, the plaintiffs or state authorities seek relief outside the class action rules that nevertheless serves the interests of massive groups of individuals. This aggregate decision-making is designed to bind, control, or influence the resolution of claims by similarly-situated citizens with the findings and exemplary relief obtained by their “representatives” or – most problematically – empower public authorities to resolve individual citizens’ claims en masse irrespective of citizens’ individual interests. In these “public” actions, the participation of individual citizens in decisions affecting their interests is increasingly diminished – and the power of well-funded special interests, plaintiffs’ counsel, and governmental authorities is correspondingly enhanced. As a result, the authority of the people – from whom all governmental power is constitutionally derived – is usurped by an authoritative judiciary that decides complex disputes pursued by judicially approved “representatives” whom citizens have not elected to pursue or protect their interests. Significantly, such “mass tort” proceedings lack the protections applicable to certified class actions, and instead depend on massive financial and administrative pressures to settle the controversies. This usurpation is most evident in the rise of public nuisance litigation – a tort that some see as an ideal vehicle to resolve massive disputes between members of the “public” and those who have allegedly infringed upon their health, safety and welfare. As a result of the expansion of public nuisance litigation, most notably in environmental disputes, claims involving global climate change, once rebuffed by the United States Supreme Court and other federal appellate courts, have now proliferated in California, Oregon and Washington. Similarly, claims against manufacturers of lead paints and pigments, previously rejected by a number of state appellate courts, have recently prevailed in the California Court of Appeals. Nuisance claims against the manufacturers of PCBs – as opposed to the persons or entities that actually released the substances into bodies of water – are now pending solely against the product’s manufacturers in every State on the West Coast. Most recently, public nuisance claims against the manufacturers of opioid pharmaceuticals were consolidated into multidistrict litigation and are now coordinated for pre-trial proceedings before a single federal court. Given this proliferation, as well as the emerging tendency of plaintiffs’ counsel to use public nuisance to remedy virtually any tortious conduct affecting – or potentially affecting – any aspect of the public interest, it is reasonable to question whether the expansion of this ancient vagary is substituting mass tort litigation for constitutional democracy. By using jurisprudential artifices to effect changes that have eluded the political process, public nuisance litigants engage in de facto “lawmaking” wholly outside the legislative process – and substitute judgments based on jury verdicts instead of relying on representative democracy. Although advocates frustrated with the legislative process have often turned to the common law as an alternative source of relief, their tactics typically employ the common law to address relatively narrow reforms – such as the development of strict product liability. Even then, however, courts generally refused to impose “absolute liability” without reasonable limits. Although common law litigation has certainly been influential in defining the nature and scope of modern tort remedies, it remains primarily a procedure for obtaining individual relief – and generally yields no right to representative relief for groups without the parties’ agreement or the protection of class certification. Unfortunately, current trends in public nuisance litigation have departed from these essential protections. It is therefore reasonable to see public nuisance litigation as a potential threat to the Constitutional “balance of powers” that served as the foundation for not only the Constitution of the United States, but also the Constitutions of most of our nation’s individual states. Whether this “Extra-Constitutional” problem presents itself as broadly consolidated individual claims that have little in common except their dissimilarity, disguised political questions seeking relief for entirely unidentified claimants, overreaching aggregations of claims that seek guidance through “bellwether” trials of “similar” claims to influence global settlement decisions, or most blatantly, as claims asserted by states, cities and other political entities allegedly on behalf of their citizens’ interests, these lawsuits seek public relief that supposedly serves the interests of persons who distrust or abandon the legislative and administrative branches of government in favor of the judiciary. In truth, public nuisance actions are not truly “tort” lawsuits, but are instead “public” actions filed to motivate social reform without authorizing legislation. Public nuisance, like other public actions, cannot proceed until the legislative branch of government gas first specified the circumstances in which the liability exists, the standards used to determine the liability, and further identifies the person or entity authorized to enforce the liability. As actions collectively pursued to achieve extraordinarily broad social reform, these cases cannot be justified by mere popular support. Instead, as actions seeking “public reform,” they must be authorized and anchored by law specifically enacted by legislatures, as opposed to claims of inherent judicial authority.